To where it’s better than before. Going home without the costume that I wore. 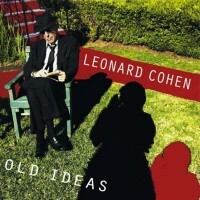 I listened to Leonard Cohen‘s new Album, Old Ideas, in it’s entirety while walking my dog the other night. I was blown away, and came away with an incredible peaceful feeling. Cohen has only gotten better with age. His voice is deeper and more pure than I have ever heard it. At age 77, he is a world treasure. And so, it’s obvious from this album that he sees that his time left here is limited. My daily realization is that my time is limited too. The day you understand in your gut that some odd 4 score of years is not very long is a day you will always remember. Many of us will not even make it that far. I ordered the LP of this album from Amazon. I was hoping that it came with digital downloads like many LP’s come with today. I was pleased to find that it came with the CD, for times when I am on the go. But the truth is that there is nothing like listening to music coming from a vinyl record. I can’t explain why, but I notice things I don’t notice while playing CD’s or listening to iTunes. 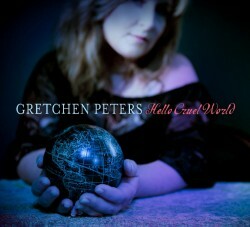 Not to mention my love for album cover art. So when I really want to immerse myself in music, I put on an LP, put on my headphone and sink in deep. My only complaint is that I am a slightly disappointed in the LP pressing. It’s slightly warped. I expected more for this 180g ‘audiophile’ pressing. It’s not bad enough to cause any problems…just disappointing. The song Anyhow is perhaps my second favorite song on the album, after Going Home. I can’t get over how Cohen can weave words. I love all the song. The remaining 8 songs all tie for a close third place. Whether these songs are Old Ideas or new thoughts, this album sure feels as comfortable as Going Home.